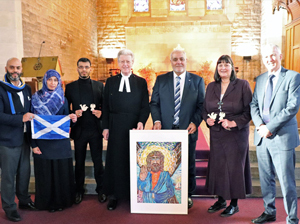 Members of the Scottish Ahlul Bayt Society took part in an Interfaith service at Cathcart Old Parish Church that will be held in memory for a long time to come. 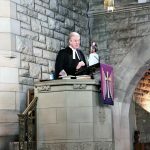 The service led by the Rev. 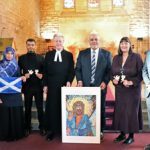 John Spiers contained reflections on St Andrew and teachings that people of all faiths no doubt share. 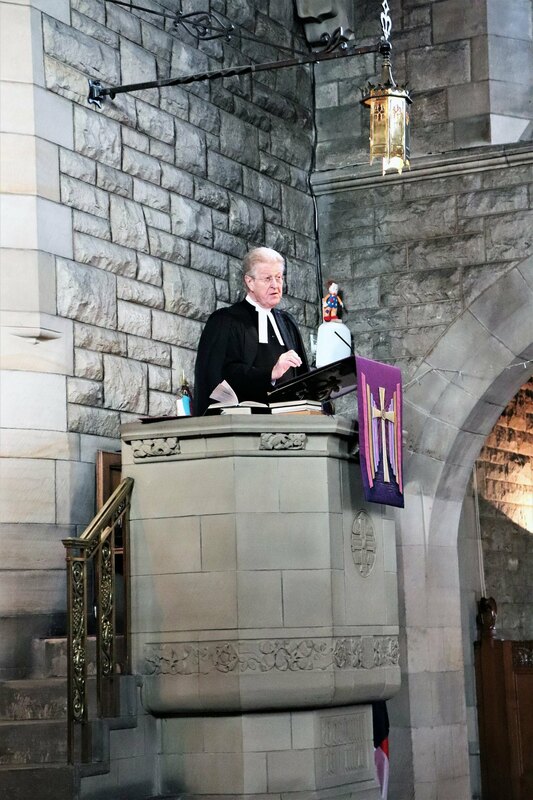 Rev Spiers spoke eloquently of the need to open our minds to dialogue with one another and to learn from each other so that we can build on ourselves and others. We thank him for his tremendous warmth and kindness in receiving us. 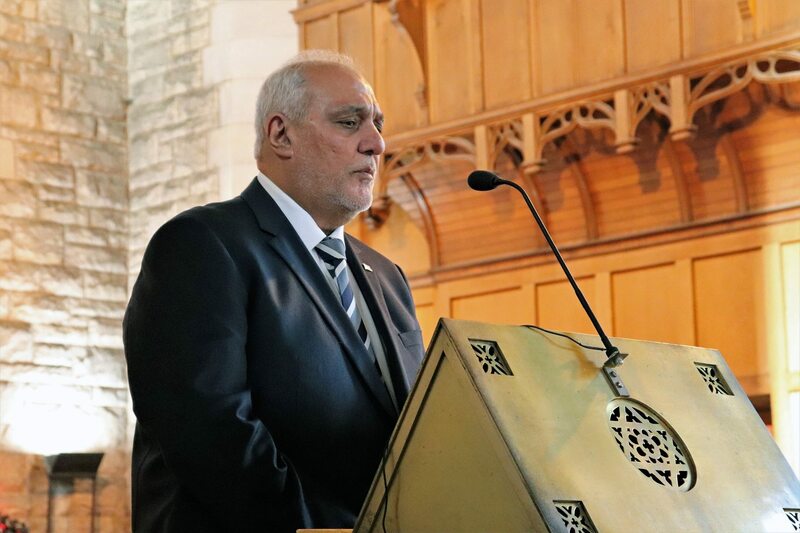 Cathcart Old has been ever welcoming to the Shia Muslim community, as Shabir, SABS chairman, recognised in a speech to the congregation. 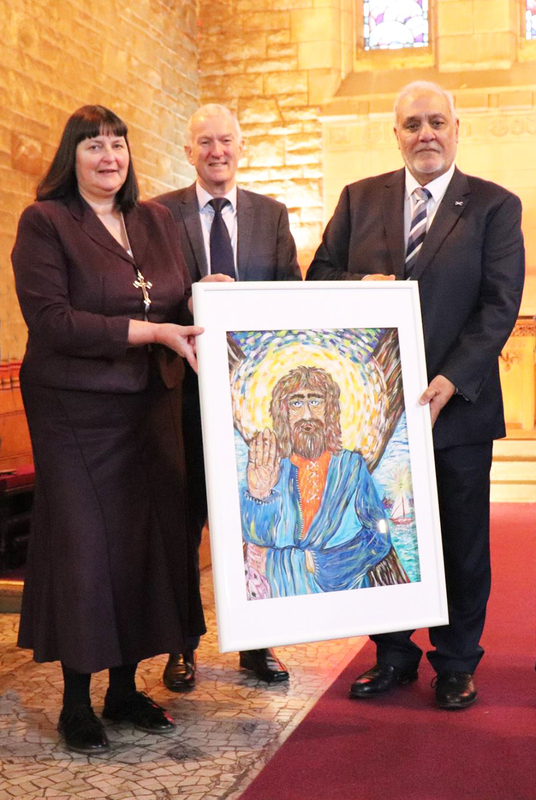 He paid tribute to the strong relationship we share with the Rev Neil Galbraith who has made all this possible in his sincere drive to effect greater understanding and peace. 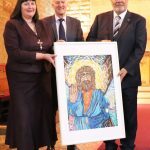 An indomitable and kind friend, we thank the Rev Neil Galbraith who in an act of great kindness gifted to SABS an incredible work of his own making; a painting of St Andrew as a token of our fellowship. 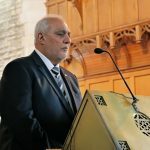 We hope to continue working together to strengthen the relations between Muslims and Christians, and thus contributing what we can to the common good and wider society.